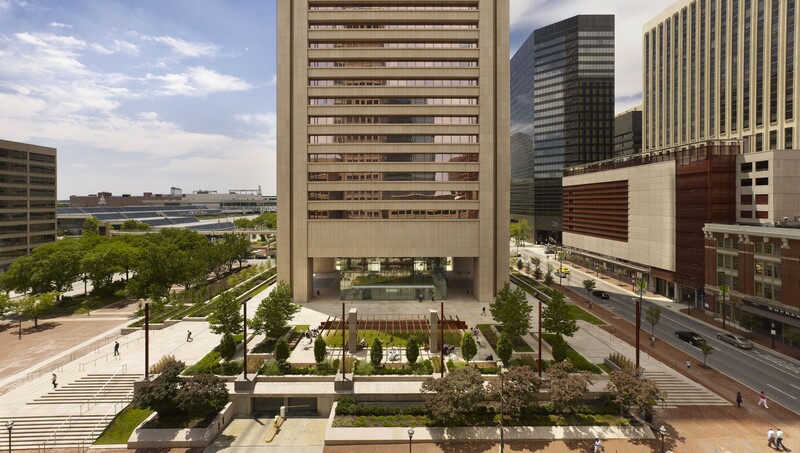 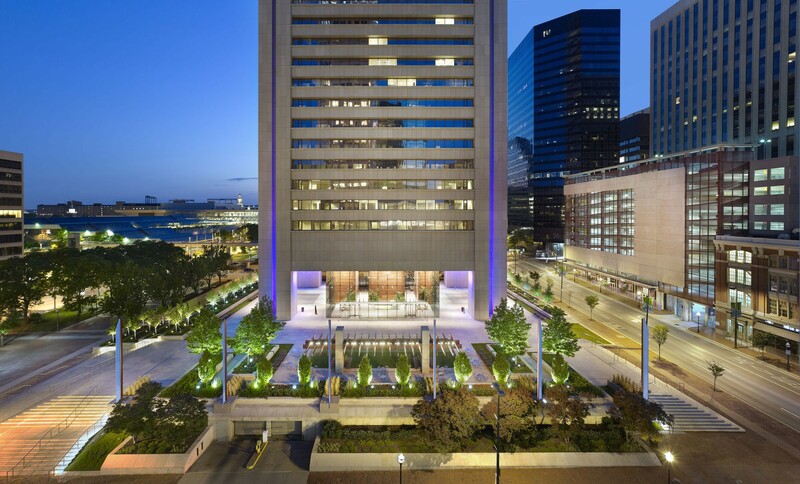 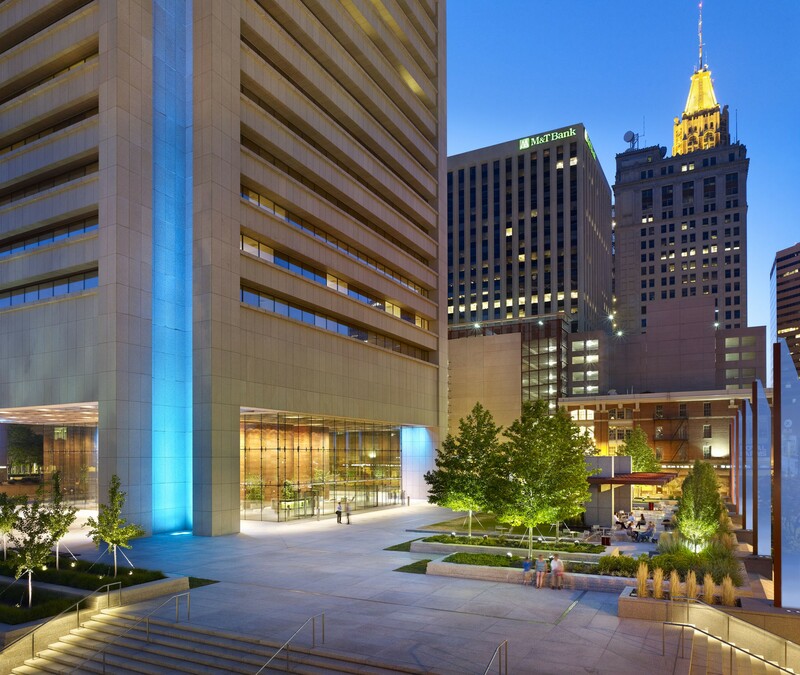 Located adjacent to Baltimore's Inner Harbor, the 100 Light Street plaza sits atop an elevated parking garage at the base of the former 40-story Legg Mason building. 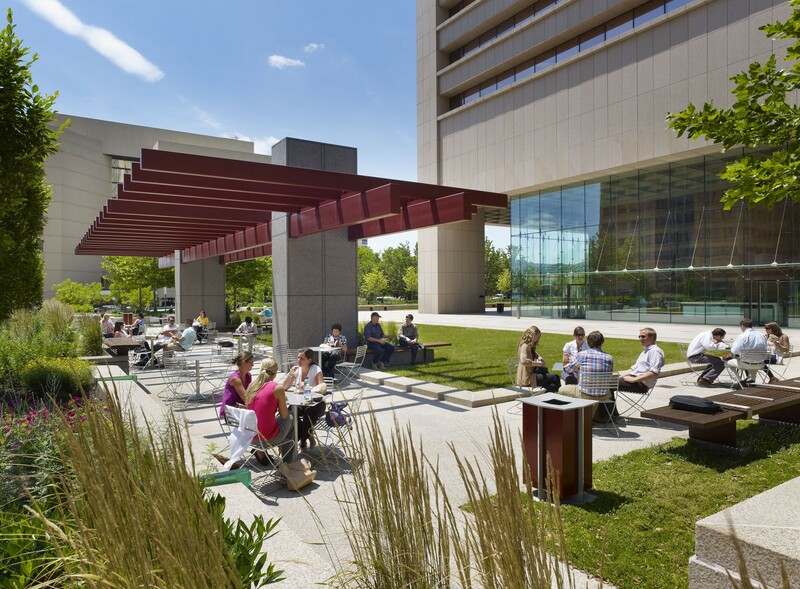 With a vacant building on the horizon, a leaking garage beneath and in an effort to reposition the building, Design Collective was retained to retrofit the existing 1970s "barren" plaza. 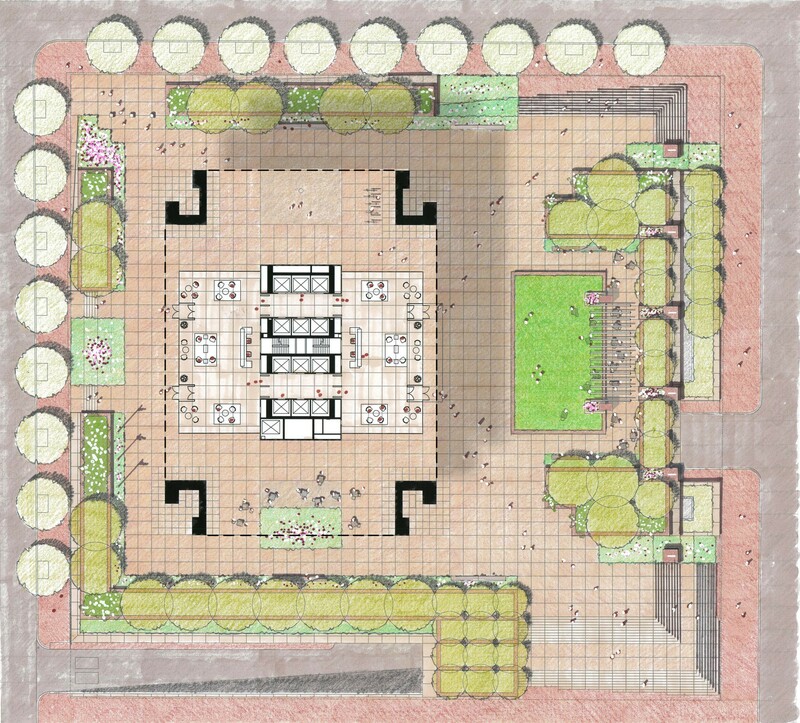 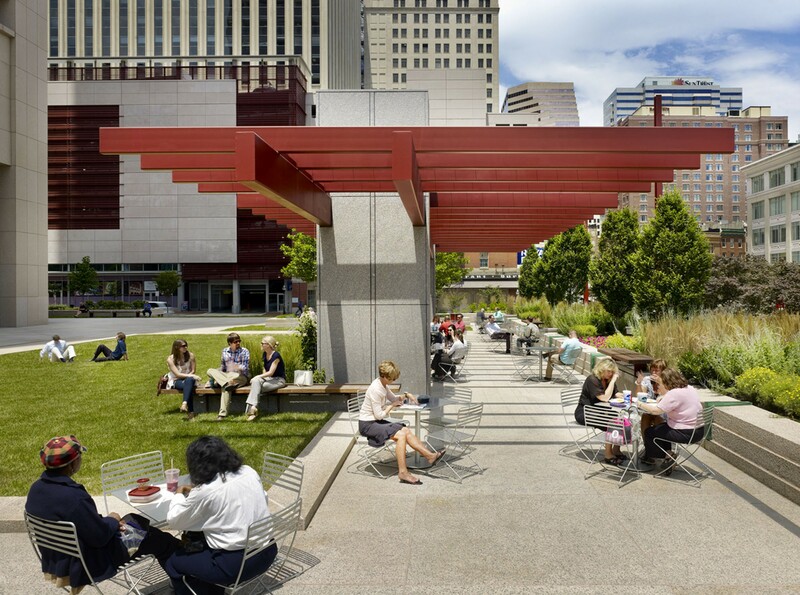 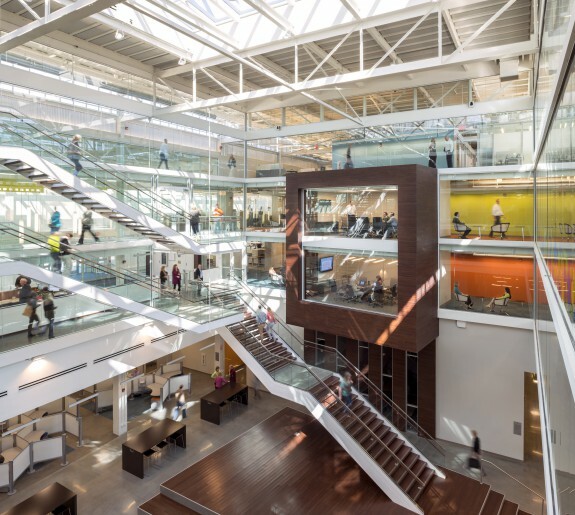 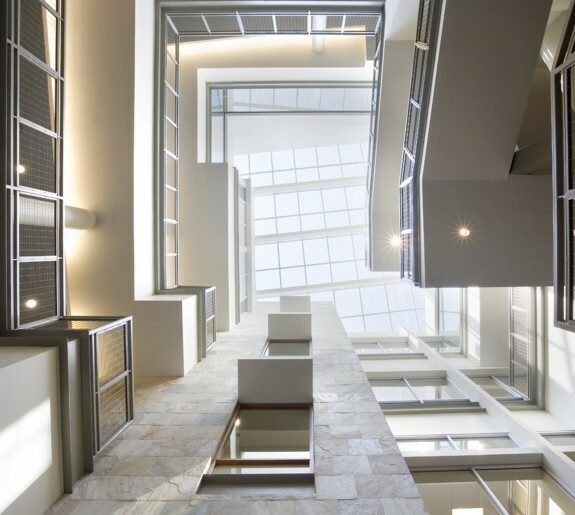 Given the architectural significance of the building, the Design Collective team balanced respect for the existing structure with innovative solutions transforming the existing plaza into an urban respite. 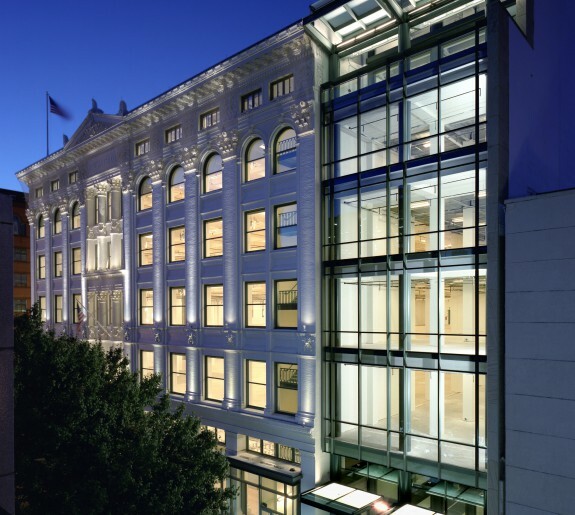 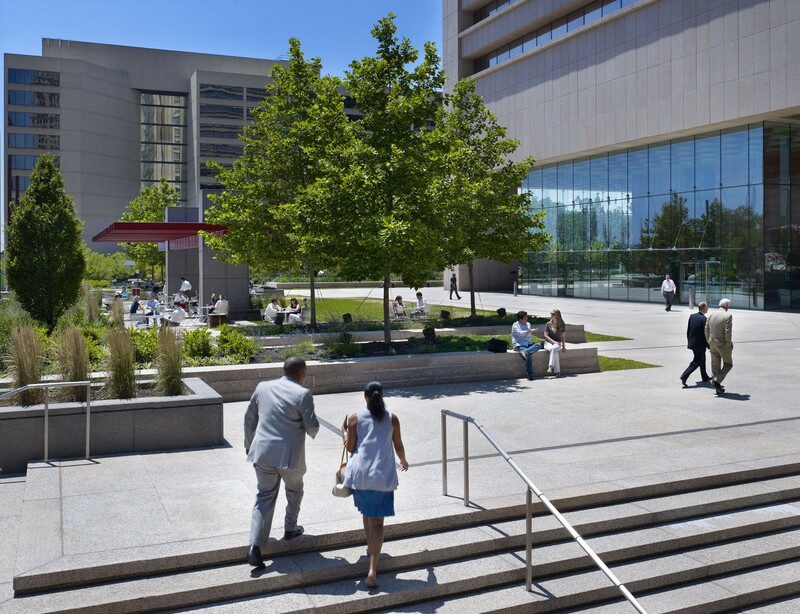 With sustainability in mind, the team proposed salvaging and reusing oversized granite railings and removed from the building facade and re-purposing the granite as raised walls and curbs within the landscape. 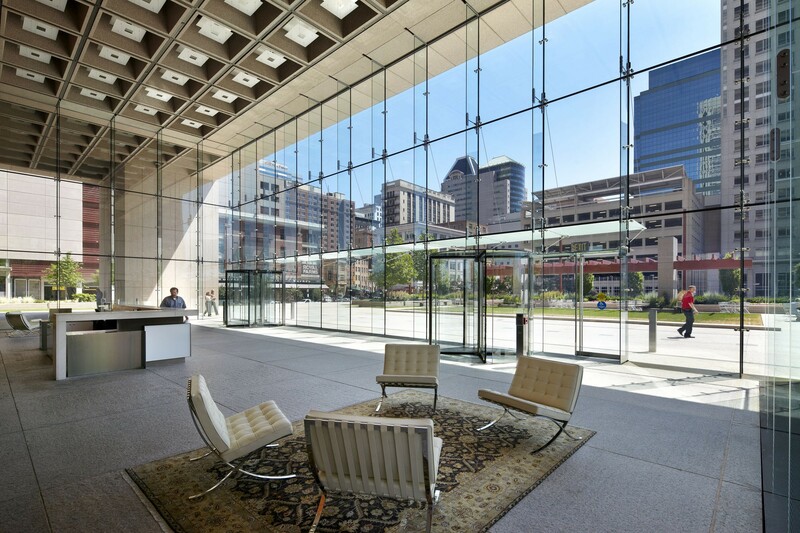 Glass fins from the existing curtain wall system are re-purposed as illuminated glass pylons along the Light Street corridor, leading to Baltimore's Inner Harbor, and better defining the urban context. 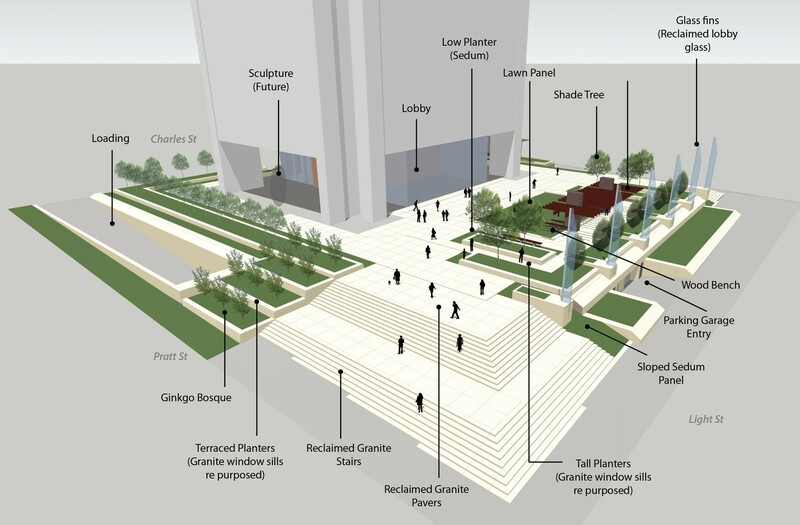 Located on the plaza, perched above the adjacent streetscape, raised planters, specimen quality trees, a pristine lawn panel and a trellis work in harmony to reduce the scale of the plaza, creating an inspiring pedestrian destination.